During December 25, it is customary for us Filipinos to go around the houses of ninongs and ninangs to ask them for pamasko. Filipino children would wear their new clothes, shoes and other stuff they got as gifts. Sometimes they get gifts, some get aguinaldo, then they are served with some food or goodies left from last night's Noche Buena. Pamamasko is our way of strengthening our social and communal linkages, bonding with the family and close friends. But there's another facet of this custom. Here in the Philippines, there is a city who's name was said to come from "sapatero" or shoemaker. 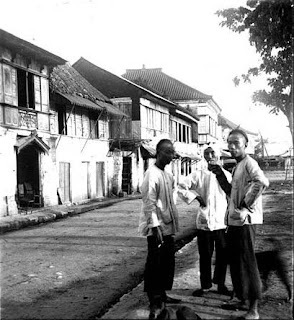 Marikina became the shoe capital of the Philippines only after World War 2, but in Pateros, shoemaking has been a mainstay industry as well as making "balut." 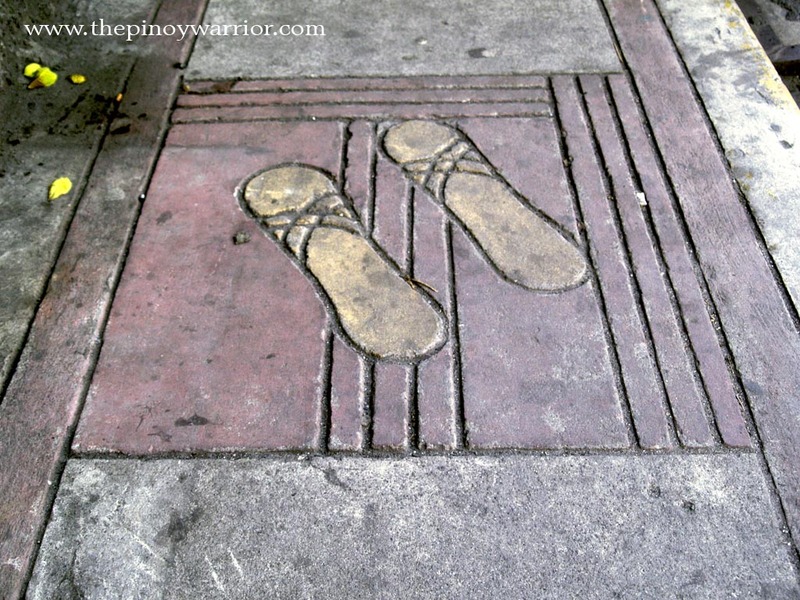 Because of the innovative shoemaking skills of the people of Pateros, a different line of footwear emerged and it was called "Alfombra." The name means "carpet" in Spanish, and literally, the alfombra is a pair of slippers with carpeting. It is one of the best indoor slippers because of its comfort and durability. Colorful and very appealing, every pair is an absolute beauty. Seemingly, the alfombra is uniquely Filipino and only skilled shoemakers of Pateros can do it correctly. 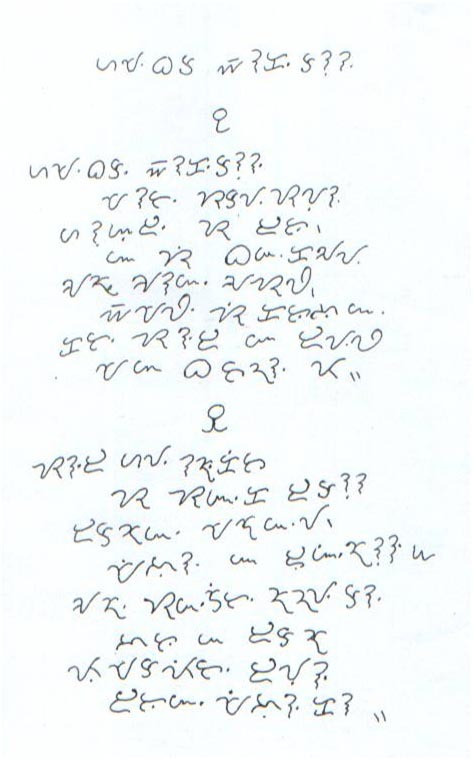 Poetry in Aklan is old, and the 16th century poem "Hambae Inakeanon" was one of the earliest documented proof. 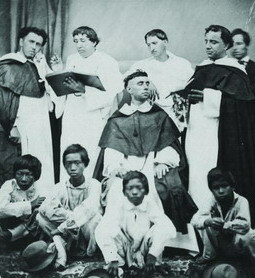 Among the great literary minds from Panay Island is an Aklanon known as Dominador Ilio. 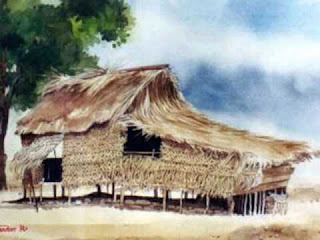 As a poet, he wrote several books, which may have been coming from the practice of poetry in the traditions of Aklan. The author of the article entitled "Luwa in Aklan," Melchor Cichon, recounts that at the funeral of his grandmother, people honored her with Luwa in her wake. His grandmother before, recites Luwa on the wakes of friends or relatives who passed away. Read more of how Luwa is being done. 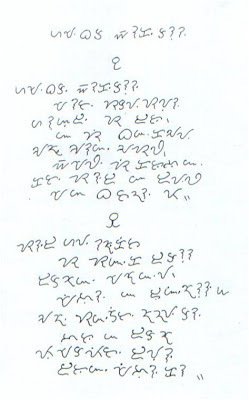 A luwa is a form of poetry that is usually written in four lines. It used to be the first stanza of corrido, that kind of poetry that relates the exploits of kings and princess. There are also luwa that are longer ones. There are also luwa that are used to get the hands of a lady. This is known as enamoracion. It is said that it is not advisable to recite luwa if one is not in the wake, because it is believed that a member of the family will die if this is done not in its proper place. 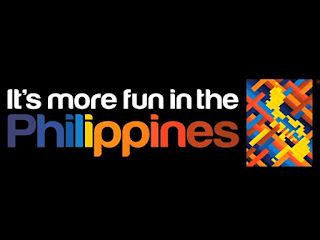 So the Department of Tourism hired a local advertising agency to market the Philippines to the world last 2011. 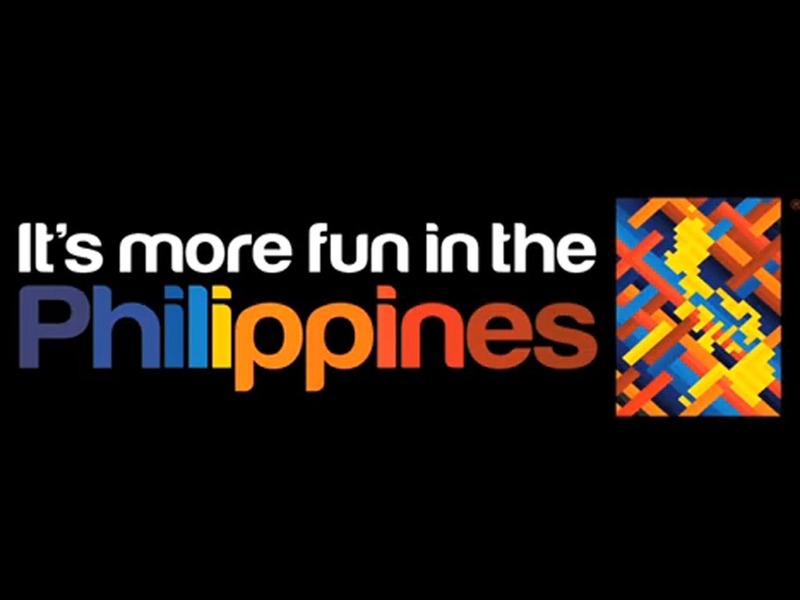 The requirements were to bring out what's uniquely Filipino, a strong online component, and a very catchy tagline, thus "More Fun in the Philippines" was born. Every region or province in the country observe its own customs and traditions on death. From the time the dying nears his or her end until after burial, we follow certain rituals to help the ones left behind cope with grief and help the dead to the afterlife. In the oldest province of Panay Island, where culture and tradition has been alive before historians, death and burial practices have evolved through the hundreds of years of Spanish influence. 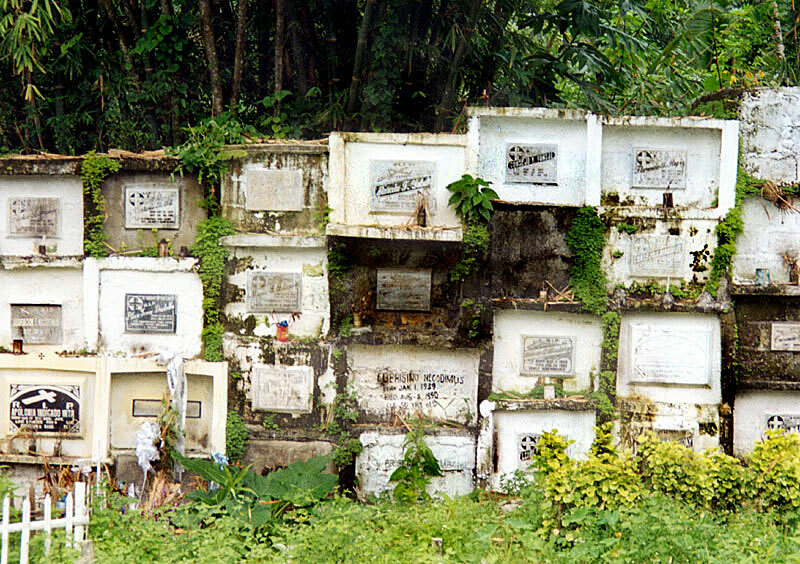 To shed light on the necrological customs in Aklan, The Pinoy Warrior would like to introduce the very first contribution from one of the readers. Here is an article by Melchor Cichon, a poet and librarian. We all have heard of stories from our lolos and lolas of how valiant and courageous our ancestors were. We know from history books that the immense bravery of Katipuneros during the uprising, the First Philippine Republic soldiers in the Fil-Am war, and the Hukbalahap at the Japanese Occupation. Their blood, sweat and tears for freedom and patriotism inspired many, and those who survived the turmoils knew they were heroes in their own right. 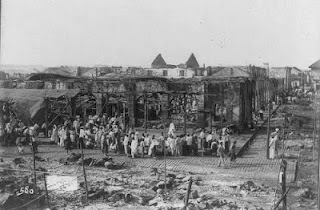 Little did we know that behind these brave Filipinos, forces unknown to many were at work to help. 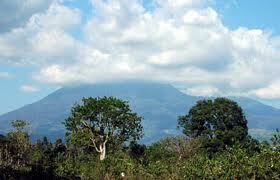 The seat of these unknown forces can be found in the mystical mountain of Banahaw. 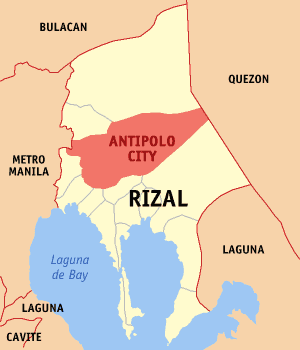 A young man in Malolos, Bulacan was hanging out with his friends late one night. He grew up in the town outskirts near the wide plains. It was very different then. Electricity was reserved for the wealthy, there were no lamp posts to light the rural roads and when its nighttime, its really dark. Most of the lands were either abound with tall talahib or plots of land for farming so its really scary walking alone when its dark. Only the bravest souls stay outside late after dusk. These boys were testing their bravery and were on the lookout for something. Weeks ago, an old farmer was heading home late in the evening from tuba with friends. He claims a huge black figure suddenly crossed the road in front of him, and when he tried to run, he said the creature attacked him but he was able to get away. The barrio people had mixed reactions to the old farmer's story but fear is the most prevalent. The boys stayed up late to prove that the old farmer was right and to capture the beast. A young woman in her early 20's who grew up in Manila decided to spend summer with her in-laws at a town in the Visayas region. It was her older sister who married and lived with these folks, but her sister passed away recently. The young woman wanted to pay respects to her sister's grave and at the same time get to know her in-laws. And so she traveled to the barrio and was warmly welcomed. Everyone was really happy to see her especially her sister's daughter who's almost her age too. Being a Manileña, the young woman dressed differently than the people of the barrio who are conservative and plain. Her distinctive jewelries, watch, earrings and necklace definitely made her stood out. 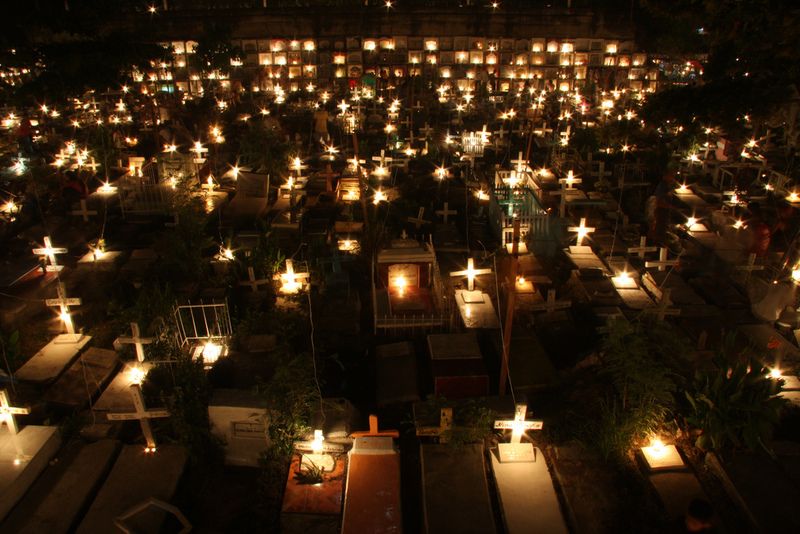 Tradition dictates that we Filipinos will be celebrating Undas very soon. The days of November 1 and 2 are days of contrast nowadays, because of the transitioning generations. 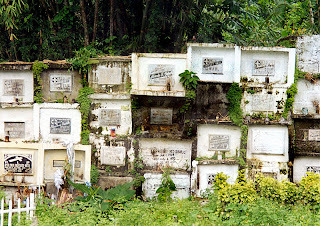 The older generation like our grandparents try to keep its serious but spooky solemnity, the middle generation like our parents are doing it for doing's sake because its tradition and the younger generation, will join the celebration because cemeteries turn into festive places. On a public cemetery at night, there's the mass of people, the flickering lights of a thousand candles, the noise of vendors trying to get the most out of the holiday and the dead. To the living, death is unknown. Whatever we don't know, we fear. Death is a fearful thing. Since the days of the dead are coming, the next articles until November 1 will be about the fearful creatures of Philippine Mythology or mystical beings that are a part of our culture. These are the best times to tell stories about what our ancestors feared. It is alright to be afraid, after all, there are a lot of things we don't know about and there could be something out there in the dark. May kasabihan ang mga matatanda "pag hinawakan mo ng mahigpit, lalong kumakawala." 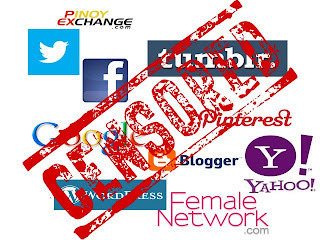 The freedom online is now in danger of being extinct. 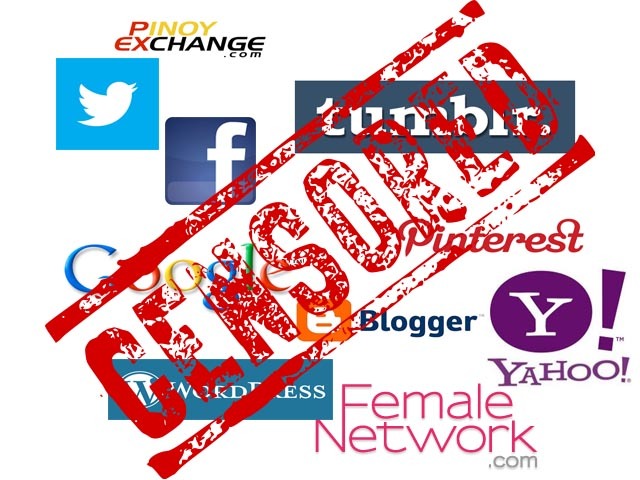 You could smell the stink of censorship, lockdowns and monitoring of all internet activity. That means every click of your mouse, every letter you type, every bit and byte of data going in and out of your online computer can be tracked and used against you. The right to privacy might disappear as THEY squeeze tighter. To those who understand the implications, they will definitely want to get out of the "squeeze." Hundreds of years ago, our forefathers relied on traditional healing methods to cure maladies, heal wounds and recover from sicknesses. In every baranggay or kingdom, there exists a group of individuals who are experts in health care and healing. These fellows are very secretive and protective of their craft, thus, not everyone could understand the way how they work. To many, it seems awesome and magical, but in fact, it stems from a deep understanding of life and a developed system of manipulating the human body. Today, the tradition still continues, but the people who once were an essential part of our societies have been replaced largely by the Western Medicine. No longer does a modern Filipino run to the local albularyo, instead, we go to a clinic or a hospital. While it is true that western medicine has shown its efficacy in resolving health problems like the most life threatening ones to minor cuts and wounds, their philosophy and system overlooks intentionally certain aspects of how the body works. Once upon the Spanish colonial times, hygiene has room for improvement for the normal Filipino. There's a lot of Pinoys going sick simply because hygiene was being ignored. Well, that is true on areas with dense populations, but on rural populations it could be a different story. Cholera and diarrhea are frequent, tuberculosis claims more lives than homicide, other sicknesses are very easy to transfer. All of these seem to fit prettily in irony since we Filipinos are known for maintaining cleanliness of our bodies. Of course it can also be blamed on not so great living conditions, bad sewage system and contaminated water sources. Due to lack of written accounts, we can't really pin point what is wrong with the way we used take care of ourselves. A nice house, perhaps a car, children not going in public schools, and...working abroad. Its all part of the Filipino Dream. This article is not completely about seeing hope in the opportunities on other countries, but about what we bring there, what we lose and what we gain. A word of warning, these are collective observations of people and to our kababayans living and working abroad, nothing personal really. Chances are, every Filipino family has relatives overseas. They could be immigrants, contract workers or overstaying tourists. A considerable percentage of a foreign workforce comprise Filipino men and women. Ever since the second half of the 20th century, our countrymen are the preferred choice when getting international manpower. We are affordable, efficient and worth the investment. Such is how we are being seen. 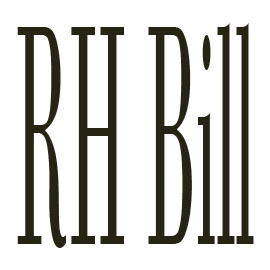 The RH Bill is one of the most controversial, most talked about and most exposed topic nowadays. Everywhere you see it, everywhere you hear about it. People have different stands and different opinions about it. In radio, in newspapers, TV, on the internet, even in graffiti, people are taking sides whether they are pro or anti. Facts are being thrown around, experts are being consulted and their views are scrutinized. For some who do not see it, the outcome of the RH Bill journey will be one of the major turning points of our society and culture as this is expected to have an immense impact on the nuclear family, which according to the constitution, the core unit of the country and ideally the utmost priority of the government. It will have a great impact on life, the way we live it, the way we see it and the way we treat it. This may also change our way of looking at the family in the decades to come. 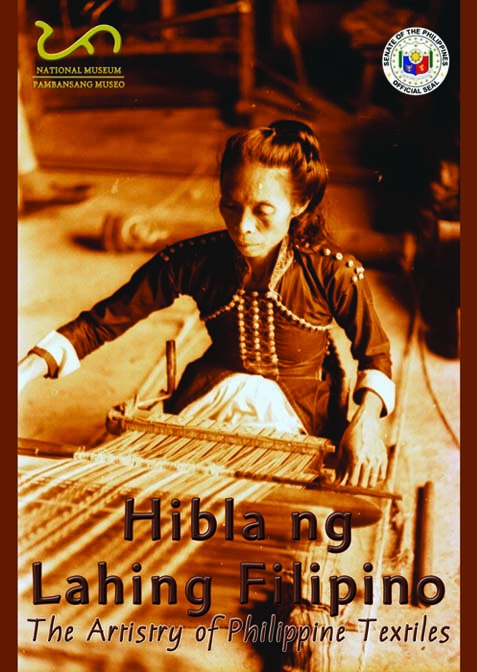 Known as the Queen of Philippine Fabrics, Pina Cloth is one of the legacies left to us by the Spaniards during their occupation of our country. 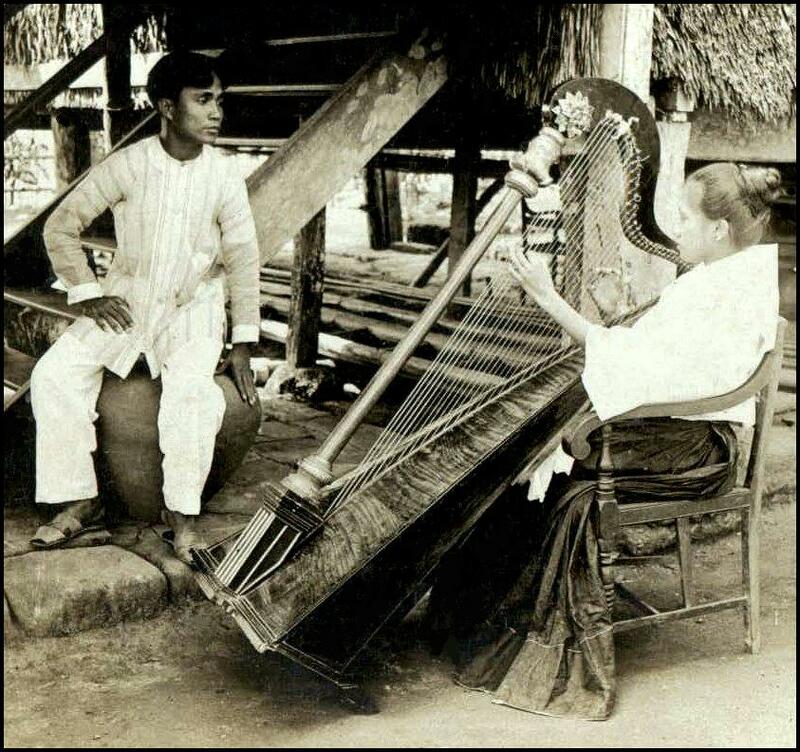 This was the prime material used in making barong tagalogs and saya in the days of our ancestors. Back then, going to mass, parties and just dressing up means donning pineapple fabrics. 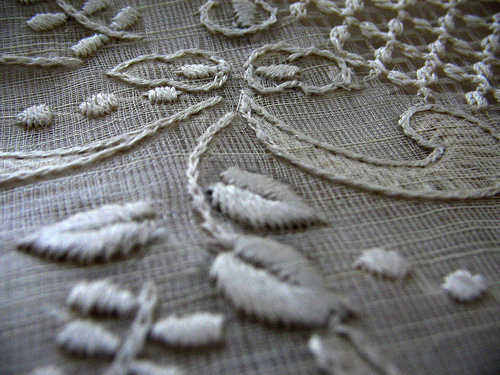 Making Pina Cloth is a painstakingly long process, sometimes takes months before it transforms into a wearable outfit. Since the barong and saya are "National Costumes," each barong and saya made of pina cloth are National Treasures of the Filipino Culture. 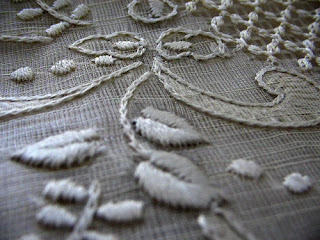 Pina Cloth is very soft and luxurious despite its appearance, durable and can stand the test of time. Long before there was Manny Pacquiao, there was already an international Pinoy sports sensation. Long before the Azkals were overrated and adored, there was already a Filipino who made it in football's Hall of Fame. Little do most Filipinos know that we have someone who not only was the first Asian to play at European leagues in the history of football, but was a superstar in his time. His name was Paulino Alcantara, born to a Spanish father and a Filipino mother in Iloilo. 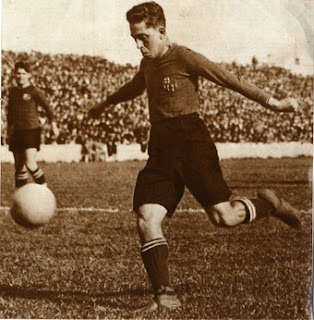 His fame and legend started around 100 years ago when at the age of 15 years old, he went and played for a European football league. Paulino became more legendary after he breaks the net by scoring a goal, earning him the nickname "El Rompe Redes" or the Net Breaker. He even holds a record which no one has been able to break: 369 goals in 357 games. Recently, Paulino was named Best Asian Player of All Time by FIFA. 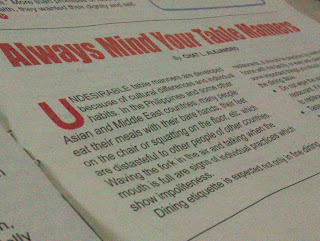 Browsing through an "old" February 2012 issue of the Philippine Panorama, there was an article that may spark an uncomfortable reaction from true Pinoys and many lovers of the Filipino Culture. 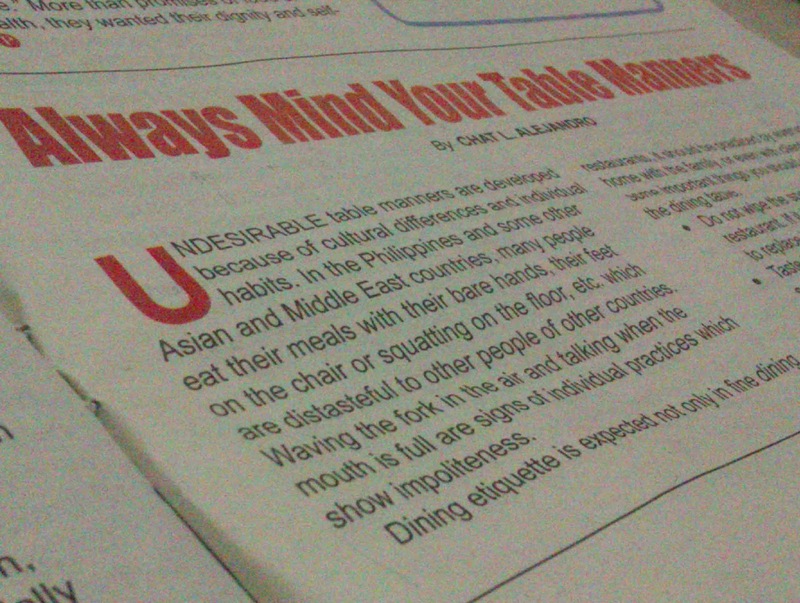 The article by the writer talks about minding your table manners, imposing that it should be practiced by everyone, and that our local table practices are distasteful to people of other countries. Distasteful is such a heavy word when pertaining to practices and traditions of a culture. Its the same as calling the people repulsive because they eat in a certain way. Some of these eating practices has been going on for generations and it has been part of an identity that makes people stand apart. These are simply the way things are, and respect should be duly given. 439 years. That's very long indeed. Pasig is one of the oldest existing towns in the Philippines, as it was created by the Augustinians in 1572, and a lot of history had happened here. 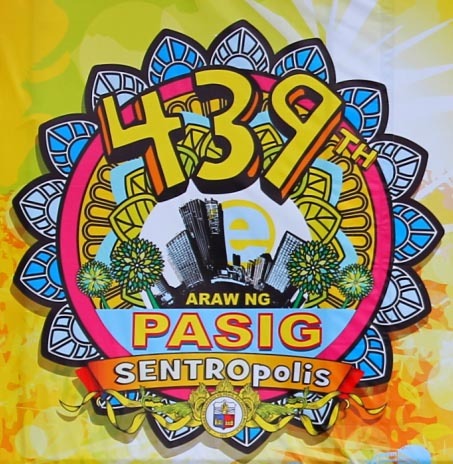 The name "Pasig" was from Sanskrit meaning "river flowing from one body of water to another." Since the Pasig River connects Laguna Bay to Manila Bay, thus the name. The 439th Pasig Day celebration is filled with a long list of events and activities spanning almost 3 months which includes the Tour of Six Museums in Pasig City. It was surprising to learn that there are 6 museums in Pasig City, so I want to see for myself what it is all about. 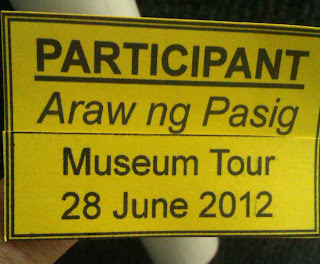 July 28 was the scheduled date and it kicked off at the Pasig City Museum. Buses will be provided as transportation so all you have to worry about is waking up early to be there. Visiting museums is a great way to get in touch with our culture and know more about our past. I haven't really visited any of these museums so I'm taking advantage of this opportunity. It would be great to call first (02) 641-02-11 to confirm attendance. 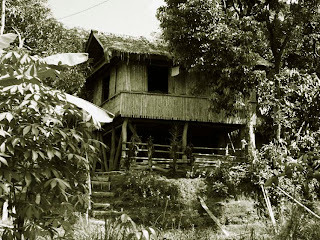 It can be considered as the remnants of Filipino nomadic living. 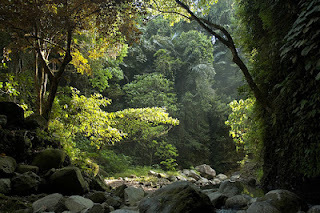 It could be the last example of our old ways, long before the baranggays and societies were founded. Or it can be a display of Pinoy ingenuity still. Those are what can be said about the kariton. Made of scrap wood, metal and rubber, the kariton is incredibly versatile. It can be a mode of transportation, an occupational tool, a playground for children and a home. In the 1980s and probably earlier, there were plenty of people using the kariton. 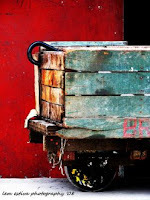 Commonly seen on the streets during daylight, pushed by scrap and bottle collectors known as "magbobote". At night, they'd be parked on a dark and isolated corner and used as bed and shelter. Among the basic necessities in life is clothing. It is common on all civilizations the need to protect the delicate human body from the environment. As culture and social classes evolved, clothing became a distinction, separating the ordinary people from the ruling classes of a society. 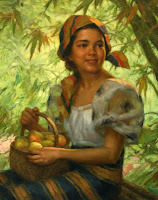 In the Filipino Culture, we have been observing this practice even before colonials arrived. Filipinos already have a sense of fashion even before the word has been invented. It was a privilege to be invited to the inauguration of the exhibition of "Hibla ng Lahing Filipino" in the National Museum and experience how deeply connected fabrics are to our culture, so I went. Besides, I haven't visited a museum for a long time so I took the opportunity. It all starts at home. It all starts with the mothers. Who their children turn out to be, mothers have a big impact. The rise of heroes during the revolution all have one thing in common, they were raised with the best of expectations and their mothers were influential in bringing out the best of them. They cared and nourished to the best of their abilities. They did what they know was right. Unknowingly, they made Filipino Heroes. Had these mothers foregone their chances and ignored their responsibilities, the world we live in right now could be really different. Here's a little something about the women who bore the people who fought for our freedom. 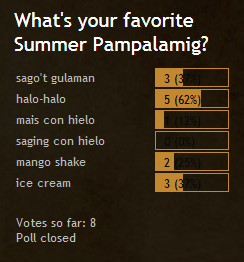 Here are the results of the "Favorite Summer Palamig" Survey. Of the 8 people who responded, majority voted in favor halo-halo! On second place is ice cream and sago't gulaman with 3 votes each. What's in halo-halo that makes it very special? Its the complexity of flavors and the rewarding experience when eating halo-halo. A neighborhood store is probably selling halo-halo during the afternoons so go out and get some! It is one of the most well known drinks in the Philippines. Probably, it might even be the most recreated drink in the country, as a lot of versions can be found everywhere. 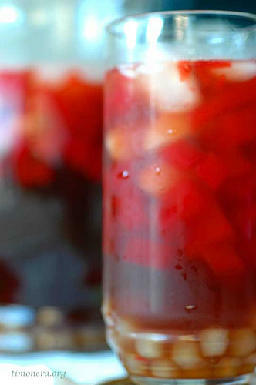 All Pinoys are very fond of the cold, sweet taste of "sago't gulaman" and is very much part of the Filipino Culture. No one really knows when this drink was invented, but the sure thing here is when ice became available, people started appreciating it. No one can really call it a phenomenon. 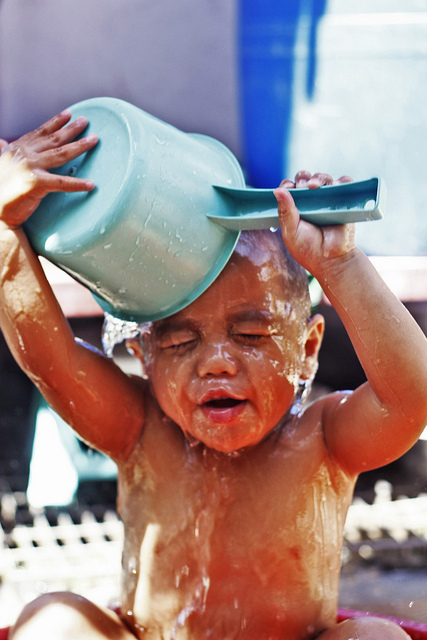 On a hot tropical country where its sunny 70% of the time, anything cold and refreshing other than cold water is a welcome treat, and people would buy it. Make it sweet, fragrant and colorful, its definitely going to be a hit. Here's a dose of its ingredients and a little something about it. There's not enough words to describe tropical heat. With the ozone layer thinning down and the greenhouse effect increasing the temperature of the world, our warm tropical country becomes hotter. A few hundred years ago, maybe it was already this hot. Practices and customs were different during those times. 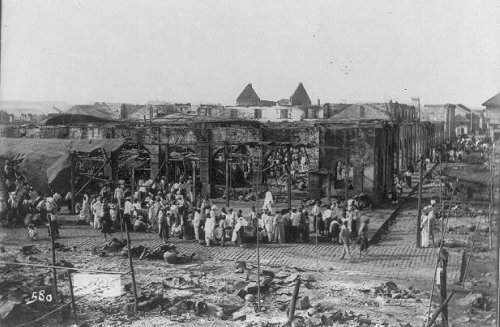 Also, if its around a hundred years ago, no one would complain much about the heat because you would have other things to worry about like war and invaders. Its just now that we aren't really busy of anything "life threatening" that we worry about heat and complain about it. But we Filipinos know that all along and its one thing about the Philippines that we cannot change, so we adapt. When it gets too hot, here's how we Pinoys beat the heat. So last year it was Visita Iglesia in Bulacan, as you have read in my previous posts. I was thinking many people have been doing the same thing ages ago, so what makes this different? The plan was not to stick to one place, but visit many! Due to budget constraints and logistics, Rizal province seemed the most economical and most accessible, and with heritage churches all over Rizal, there couldn't be a better choice. More so, it seems like a better starting point for those who want to try something different during the Lenten Season. Being a firm Catholic, I really have to express my disagreement in replacing usual Lenten practices with vacation on a beach or some fun place. But no one can really blame the people taking their time off to relax and enjoy since there's no day of the year that can give a 4 day rest from work. In reality, whatever anyone does during Maundy Thursday or Good Friday, so as long as its done in the mindset of "reflection and penance" and doesn't violate any morals is more or less acceptable. Visita Iglesia is a pilgrimage, and it definitely falls under the recommended practices during Lent. For the adventurous who want to try a Visita Iglesia not in Metro Manila, try going to Bulacan this Holy Week and visit some churches there. If you're not from there or do not have any relatives in Bulacan, go during the day. At least when you get lost, there will still be people you can ask for directions. Or just follow the map I used. :) You will only see maps as images on this article. 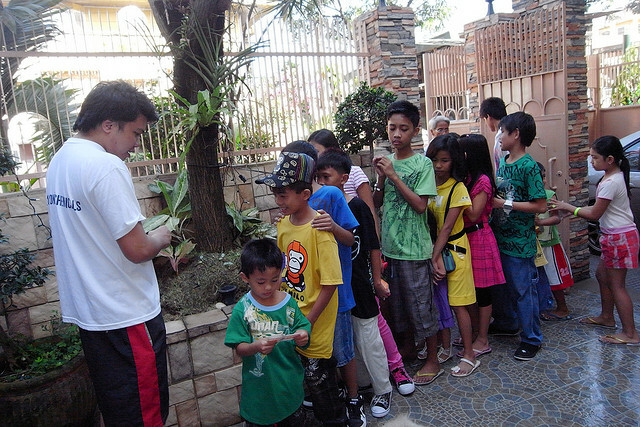 For photos of the churches visited last year, please click The Bulacan Visita Iglesia. The home is the sanctuary of every family in the world. Here you can find all the things that reflect the culture and belongingness of a person. If you want to know more about someone, a trip to the person's house will show you a lot. I don't get to hear this phrase often nowadays. Perhaps it is something that is no longer relevant or it has turned into a different form but of the same context. Some use takusa (takot sa asawa) and other terms I didn't bother to search for or try to remember. It all boils down to one point, a man "cowering" to a woman. Personally, that doesn't seem like an issue. If one can look at it at a perspective we Filipinos used to see, it shouldn't be embarrassing. But apparently, to the people who invented the term, it seems very unacceptable. 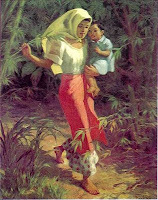 "Ander da Saya" is the Filipinized term for "under the Saya" or under a woman's dress. Now you see who made a big deal out of this Pinoy attitude? In the Philippine school systems, towards the end of the school year is an important month for graduating students. This is the time when a student gets a clue if he or she will walk to the stage to receive a piece of typewriting paper tied with cheap lace from Divisoria. 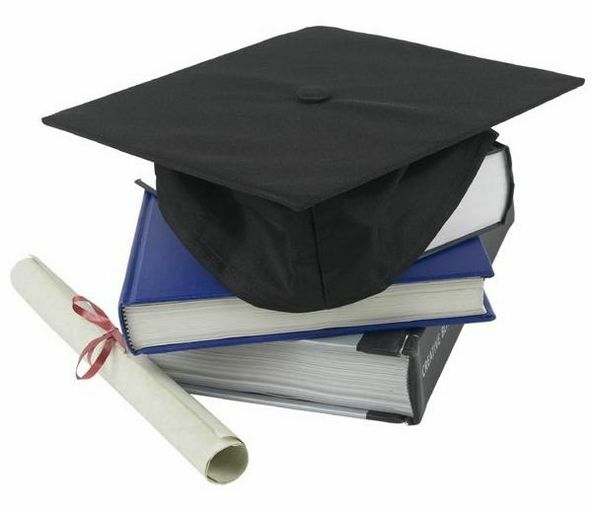 Graduates-to-be are anxious to know if they're gonna move up, or gonna get stuck behind. Frankly its a tense time. There's a lot of challenges actually. For the high school and the college students, grades are just the start of the things to get worried about. It is a stressful phase, but also an exciting one. Commencement is the end of something, and the start of another. There was a time when the hottest selling thing was Papaya. You can see the fruit in newspapers and billboards. 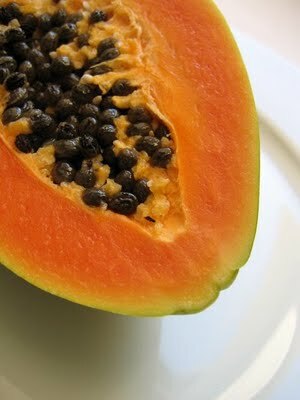 You can hear Papaya on the radio and see it on TV. Almost everyone was crazy about Papaya! Unfortunately, we didn't want to eat the fruit, we wanted it on our skin. Almost all soaps for sale bore the resemblance to the color and smell of Papaya. Even the biggest names in soaps have their own Papaya variant. The craze even went further when someone released a green Papaya variant claiming to be more effective that the ripe fruit. Their claim? They give Filipino women a chance to become whiter. We are one of the world's largest exporter of human resources. The Philippines has been mass producing skilled workers, professionals and wives (yes being a wife is an occupation) for the world in the past few decades, and we're pretty good at it. Some come back here, some don't. But they funnel billions and billions of dollars here to the country so not too many are complaining. Ask a random person on the street, chances are, he or she has a close relative working abroad. Many see going overseas as the premiere destination for success because of limited opportunities here. 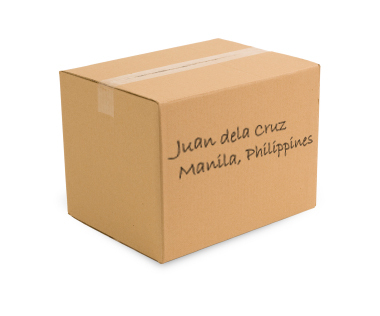 And to those who get lucky and get overseas work, when they return, they bring their dollars and balikbayan boxes. I don't want to meet an aswang. I bet many don't want to either. Walking alone at night on a dark "eskinita" then suddenly an aswang appears scenario is something that doesn't happen very often especially nowadays in the metropolitan cities. Aside from the fact that we are talking on "mythological" terms here, there's no proof that aswangs exists. So what's the point of this? Its a nice to know. After all, no one said that aswangs don't exist. No one has proof...yet. 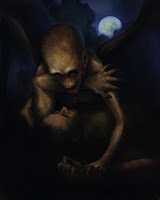 So what do you do when you happen to meet an aswang? Read on and find out. We Filipinos love movies. This love for movies is something very interesting about the Philippines. 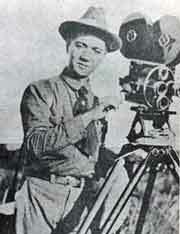 For decades since the movie industry of the country started, it has been a great source of entertainment for both men and women of all ages in the archipelago. We laughed, we cried, we hated, we liked and we fell in love. Such is the power of film, media and the people behind it. Although immense is the influence, very few had taken a look as what you will find here. It rarely gets brought up, things about the entertainment industry in general. We seem to take everything at face value. Here's something that takes a different look at things and tried to see which actors and actresses made the most films. Please note that the number of films and roles do not define an actor or actress. They are not a measure of success or the acceptance of Filipinos, although it can be an indicator. This is the list of the Most Exposed Pinoy Movie Artists. There is something about the Philippines that we share with all the other cultures in the world. Man has always been fascinated by the supernatural and have longed to harness its powers. It has been believed that thru certain rituals, a supernatural attribute can be stored in an object and used in times of need. Here in the Philippines, we call these objects anting-anting or agimat. 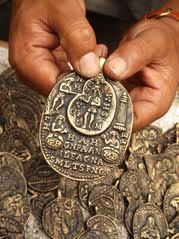 Since time immemorial, a special object bestowed with extraordinary powers is kept by warriors, shamans and healers believed to give superhuman powers to overcome hostilities both human and non-human. Our ancestors believed that a special stone, a tattoo, a part of an animal or some mysterious object with the right oracion and rituals will protect from arrows, spears, swords and sickness. Some also believe that these anting-antings can make someone invulnerable and possess unnatural strength and speed, specially on a battlefield. Many are convinced these still exists up to these modern times. In India, the caste system is very inconvenient. You have to die and get reincarnated before you can either move up or move down the caste. There's hope if you believe in reincarnation, but what if you don't? 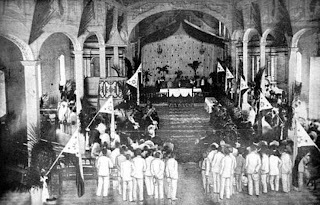 In the Spanish times here in the Philippines, it wasn't as rigid as it was in India, and your children can inherit a different class when you marry a foreigner. Although being reincarnated to a different class should work fine too. January 23, 1899. A date that forever will be in the history books of the Philippines and the world when the country became the first republic in Asia. After gaining independence less than a year ago, a constitution was drafted, ratified and put in to effect quickly. Emilio Aguinaldo was declared the first president, thus establishing the Malolos Republic. Of course this wasn't really a stroll in the park. Before they were able to pull this through, a lot of forces had taken their play and influence. You would have to consider the current politics, the coming Americans and the looming war. But we were ready to prove that we, the Filipino People, could govern the country ourselves. Never has there been a Filipino like Carlos P. Romulo. 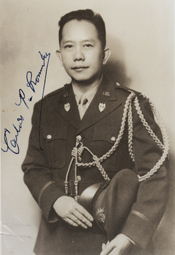 A diplomat, politician, soldier, journalist and an author, Carlos Romulo has been an overachiever throughout his life. 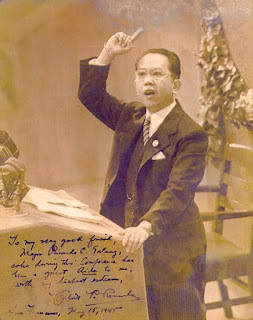 It was during his lifetime that the Philippines had produced the brightest and the most sensational Filipino statesmen, and he was among them. Though in history books, his name is a frequent print, not too many nowadays remember who he was. Imagine a boy becoming a journalist at the age of 16 years old. When everyone was busy chasing after girls, he was already chasing news. It isn't surprising that he becomes a newspaper editor by the age of 20. With such accomplishments at an early age, you know outright there's going to be more from this guy. 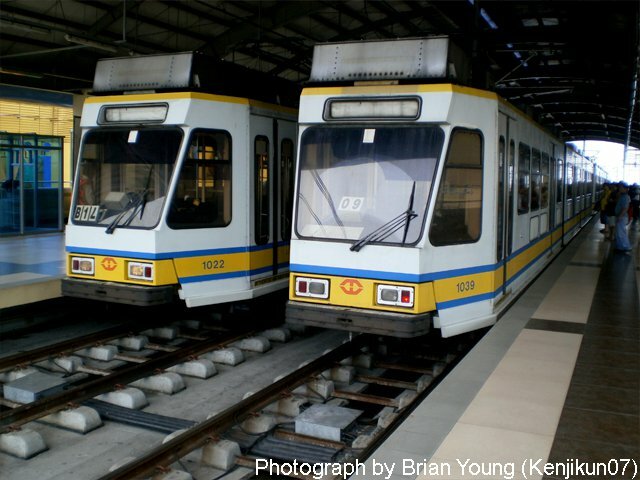 There are many ways to commute around Metro Manila. Available in every road is an assortment of vehicles such as jeepneys, cabs, tricycle, pedicabs and many others. Its fun riding in those, but the fastest way to get from one point to another during rush hour is riding something that doesn't get stuck in heavy traffic (i.e. something that doesn't use the roads). Trains don't use roads. Trains don't get stop signs or pedestrian crossings. Trains don't wait that long for passengers. In short, its faster riding trains. The world knows about Filipino women. They are very beautiful, shy, reserved, submissive and "maasikaso," though at the same time assertive at the right moment. Call it an irony, but yeah, I would have to agree on that. A working knowledge of the English language, very charming smile and superb hospitality could always be a deal breaker. And all of these are possessed by a Filipina. A perfect mate as many foreigners would say, comparing with women in their respective countries. It could be the reason why for a while, a Filipina was treated like a commodity. Is it their fault or is it ours too?